Home » VANish Debuts a Red Band Trailer and It’s Just as Outrageous as You’re Expecting! VANish Debuts a Red Band Trailer and It’s Just as Outrageous as You’re Expecting! 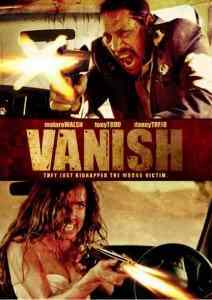 The neo-grindhouse action thriller VANish is officially headed for DVD and Blu-ray on February 24th. We have a newly premiered red band trailer for you to check out after the break! And it is just as outrageous as you are expecting. So, head in and take a look. Keep an eye out for our review closer to the film’s release date! The film stars Maiara Walsh (The Starving Games) Tony Todd (Candyman) and Danny Trejo (Machete).